WASHINGTON, D.C., USA — He presided over a massive drug ring in the 1980s that police say was at the heart of the crack-cocaine epidemic. 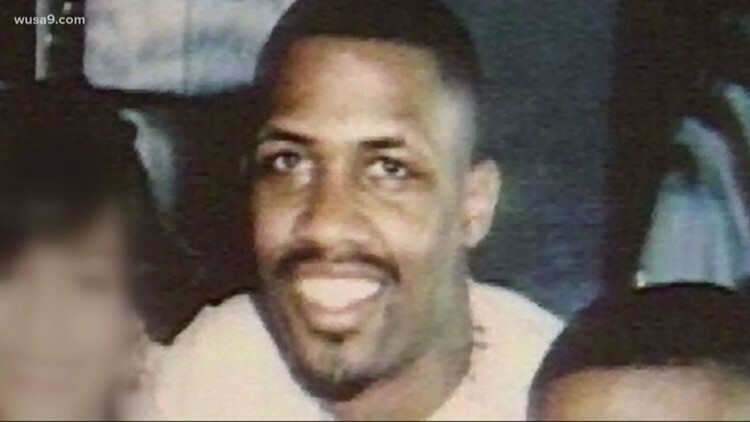 Prosecutors said in court that Rayful Edmund’s operation brought in 1,700 pounds of cocaine a month generating as much as 2 million dollars per week. His enforcers were blamed or linked to a few dozen homicides. When Edmund was finally taken down in an undercover bust by local and federal law enforcement his associates were arrested as well, including his mother and siblings. He was 22 when he was arrested. Rayful Edmund is now 54 years old. In February of this year federal prosecutors stunned a lot of people in law enforcement and communities devastated by the crack wars when they filed a motion in US District Court asking that Edmund’s “life without parole” sentence be reduced to allow him to go free. The case has been assigned to federal judge Emmet Sullivan. The same judge who threatened to send former security adviser Michael Flynn to prison. According to documents obtained by WUSA9, Judge Sullivan has ordered federal prosecutors to brief the court on how it may obtain the views of victims, family members of victims and members of the community, including whether the Attorney General for the District of Columbia could appropriately represent the views members of the community. Sullivan has given the government until March 22 to respond. Attorneys for Rayful Edmund have until March 29 to make their case for early release. Sources say Rayful Edmund is currently housed in a low security prison somewhere in the United States. His prison information is removed from all bureau of prison public records because he is under witness protection due to his extensive co-operation in helping bust several other major drug operations. Authorities no doubt became impressed with Edmund's ability to run his drug operation from anywhere, including inside a maximum prison in Pennsylvania. For years after his DC conviction, Rayful Edmund and other inmates were found to be dealing major drugs using prison phones and their outside connections in Los Angeles. His eventual agreement to co-operate with the feds lead to several major outside drug busts and the early release of his mother and other relatives from prison. RELATED: What's next for DC drug kingpin Tony Lewis Sr.? Federal authorities in court documents cite Rayful Edmund's continued co-operation over the years as reason for seeking his early release. No fewer than 100 people were arrested and convicted due to Edmund's help according to prosecutors. Reaction on social media has been mixed but leaning against his release. People are asking would he come back to DC? Would he and his family members be protected from retaliation for his “Snitching” on others? What about the killings, the crack addicts, the costs to some of the district’s poor communities. At its height Rayful Edmund’s drug operation controlled much of Northeast DC. Traffic on some streets was so thick with crack cocaine transactions that neighborhood residents could not get to their homes. The empire began to fall apart after some of Edmund's carriers were busted in Los Angeles while transporting cocaine that had just come in from Columbia. Tony Lewis junior, the son of Edmund’s former drug lieutenant says his father Tony Lewis senior should be released after nearly 30 years in prison. Lewis says it would take a presidential pardon to free his dad who was sentenced to life without parole. The government is not seeking early release for Lewis. He and Edmund and the only participants still incarcerated after nearly 30 years.